David Beckham appears to take a literal approach to the school run. 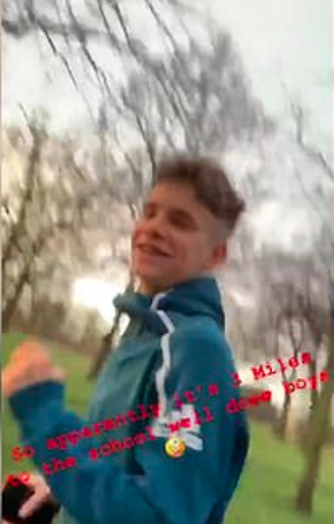 The former footballer has revealed that he joins sons Romeo, 16, and Cruz, 13, every morning as they jog THREE miles to school. 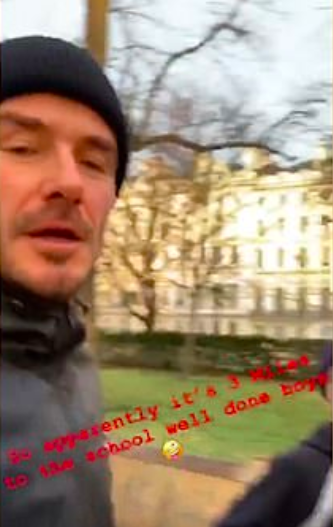 Sharing the journey on his Instagram story on Tuesday, the 43-year-old shared a clip of them all pounding along a pavement. 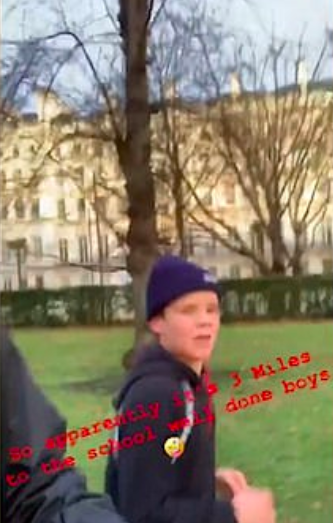 He captioned it: ‘So apparently it’s 3 miles to the school well done boys,’ followed by a crazy-face emoji. ‘Yeah, I’m good,’ he replies. Their energetic morning run comes after mum Victoria revealed that she is very ‘disciplined’ when it comes to her own diet and exercise regime. She added to The Guardian in January: ‘I am very, very disciplined in the way that I work out, in what I eat. That’s how I’m happiest. And if that wasn’t enough, VB also enlists the help of a personal trainer who puts her through her paces with 30 minutes of legs, followed by 30 minutes of arms, toning and conditioning. We’re exhausted just thinking about it!